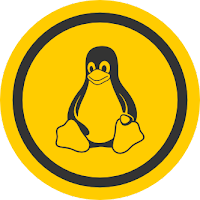 In this tutorial, I will show you how to Install the Latest version of Kernel 4.15 On Ubuntu 17.10 / Ubuntu 16.04 LTS and LinuxMint. Kernel 4.15 is the first series to be fully patched against the Meltdown and Spectre vulnerabilities for X86 and PowerPC arc. Support for User-Mode Instruction Prevention feature on Intel CPUs. Updates for the Drivers, filesystems, and architectures. Note: These mainline kernels do not have any ubuntu provided patches or drivers and not supported or PRODUCTION use. So how to install Linux kernel 4.15 on Ubuntu / LinuxMint? For removing the Kernel 4.15 run the below command in terminal.